Variation Accepted: Operating between Okehampton, Fore Street and North Tawton given service number 318 effective from 27-May-2014. To amend Route and Timetable. Other Details: Monday to Saturday excluding public holidays. The 55 is currently operated by Beacon Bus. Other Details: Sundays and public holiday from first Sunday in May through to last Sunday in September each year. As scheduled, the County Council contract for operating financially supported Service 180 has been retendered. The outcome of this is that Plymouth Citybus are successful. A revised timetable which takes effect on Monday 21st April. 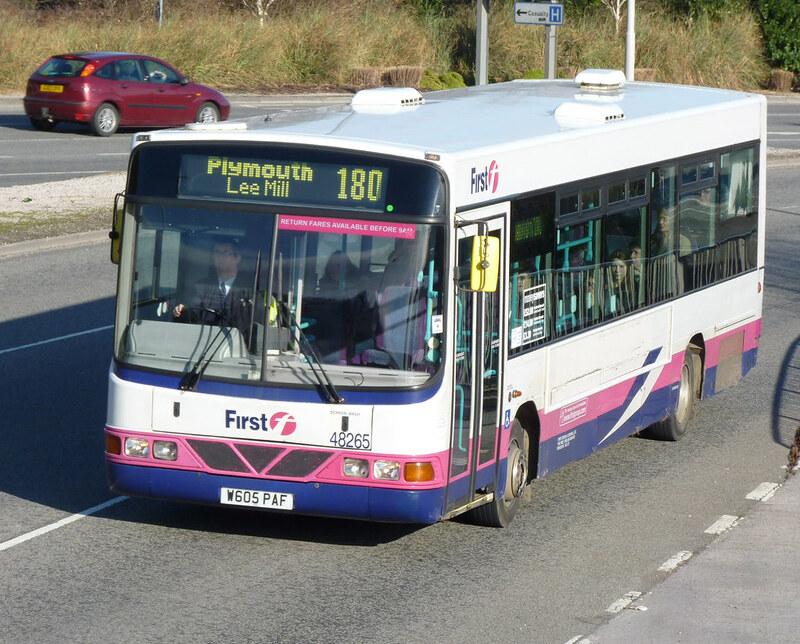 The Citybus operation takes the form of an extension to their local service between Plymouth and Plympton. The service is therefore renumbered 20A. The service restores an hourly frequency between Ivybridge Town, Lee Mill, Smithaleigh, Plympton and Plymouth. Ivybridge Town sections continue to be served, at the improved frequency, with the eastern half of the town being served by means of a one-way clockwise loop. Plymouth-bound passengers boarding in Cole Lane will travel via Ivybridge Station, as will passengers travelling from Plymouth to St. Peter's Way. The route between Ivybridge and Lee Mill is via Beech Road and Woodland Road. The stop in Plympton moves to Moorland Road. The route in and out of Plymouth will be via Marsh Mills, Laira, North Hill and Mayflower Street to and from Royal Parade. College-time passengers will need to change in the City Centre. Citybus are providing the new 20A in addition to their half-hourly direct Service 45. The full range of Citybus network tickets will be available. The Plymouth Citybus service is not only the lowest cost option for the County Council, but also, being built on a sound commercial core, it offers the best prospect of future sustainability. North Gate : The Last Word Sooner or later, the hoardes of high-viz helpers, extra police, traffic wardens and stagecoach supervisors are going to melt away. The costs will be horrific and a misplaced sense of self-confidence will set in. APPS THE WAY TO DO IT ! An app which can tell you if your bus is delayed by road-works has been shortlisted for a top award. The Bwsiti app, designed by Caernarfon-based company Geosho, can tell you when your bus will arrive. Once downloaded it can also be used without a wifi signal - making it especially useful in more remote areas. Hmm, tendered services generally have to accept other operators' paper tickets. Now the 25 has gone to Jackett's on Sun/BH, will they be keeping this quiet like they did with the 54 to Bovisand last year and First do with the late night Tavistock runs? Whether tickets from other operators are accepted on a different operator's bus is a matter for the council to specify as such in their contract. The tendered operator is only obligated to accept other operation's tickets over the route if it is stipulated in the contract terms. Kent do this - and the tendered operator must accept all other operator's tickets over parallel sections of route, Wiltshire has the Day Rover all operator ticket. If Devon (or Plymouth City) don't stipulate it in the contract, then Jackett's is not obliged to accept other operators tickets. You appear to be suggesting that the contract does require this. A swift email to the tendering authority would resolve that, as the odd mystery shopper or two would establish if it was indeed going on. You will probably find that City Bus did not want the service 13 or run the Sunday service on the 25. So not much of a loss. It is the norm with PCC and DCC tenders that other operators tickets have to be accepted. Hence PCB tickets are valid on FDC tendered Tavistock services, tendered Target services and Jackett's tendered routes. Likewise PCB have to accept other operators tickets on service 14 and anything they operate on a tender. To clarify it is usually only paper tickets that are accepted, smart cards and mobile ticketing are not normally included in the tender rules. As expected, first's 180 is going.